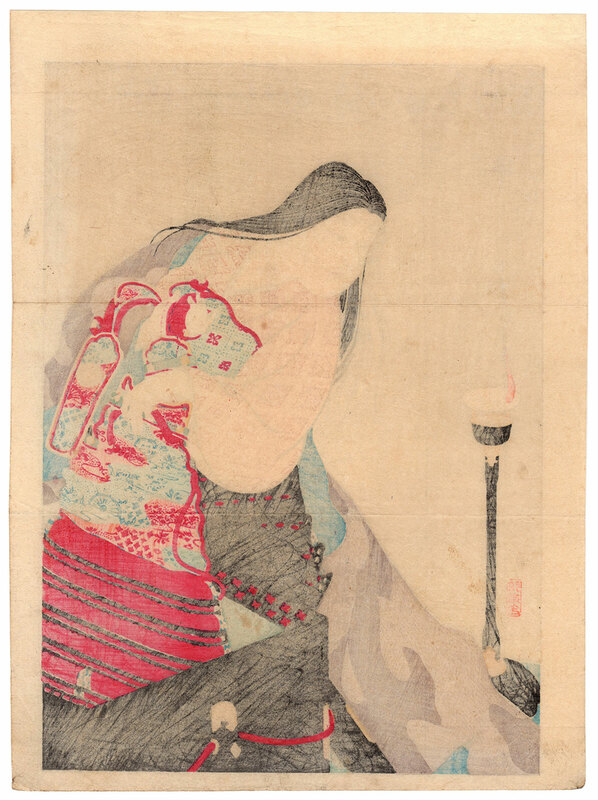 Rare kuchi-e (口絵) woodblock print made in 1904 by the artist Kobori Tomoto (小堀鞆音) and depicting Shizuka Gozen (静御前), concubine of the samurai Minamoto no Yoshitsune (源義経), while placing the armor of the famous general in a box of lacquered wood. 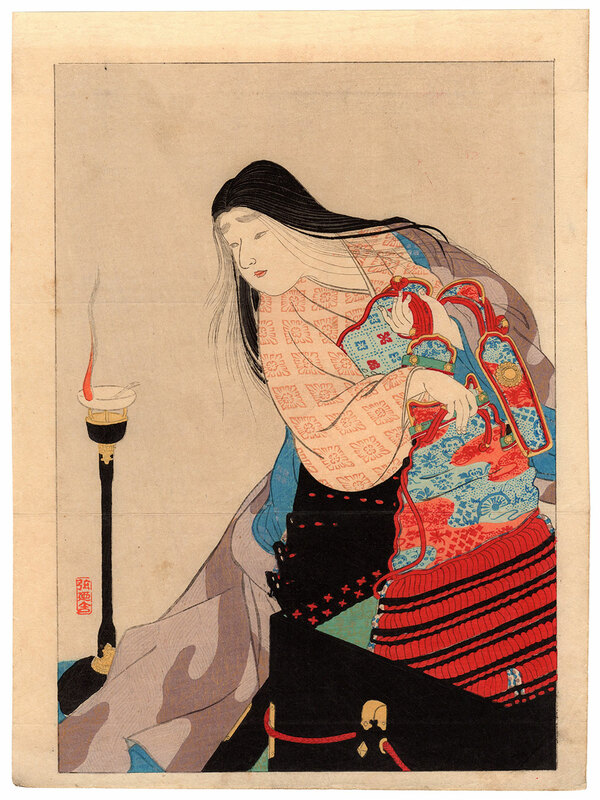 Shizuka Gozen (1165 - 1211) was a shirabyoshi (白拍子) court dancer, as well as one of the most famous women in Japanese history and literature. 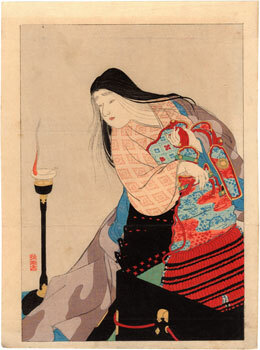 Her story has been extensively represented in the Heike Monogatari (平家物語), in the Gikeiki (義経記) and in other literary works. 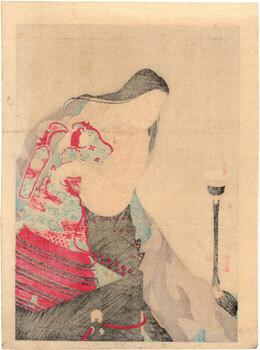 The print on Japanese washi paper (和紙) despite the right signs of the time is in good general condition.